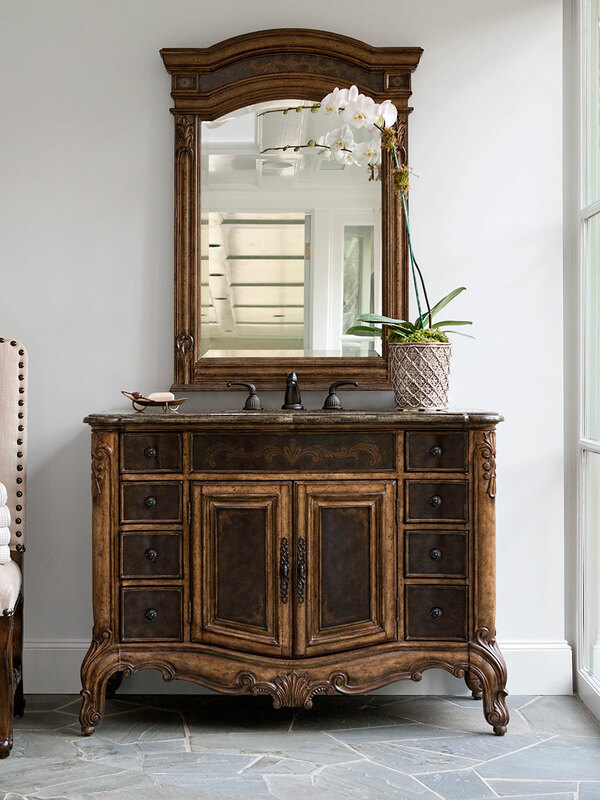 The 48" Winslow Large Single Bathroom Vanity features quality craftsmanship and a lovely style that is simply striking. 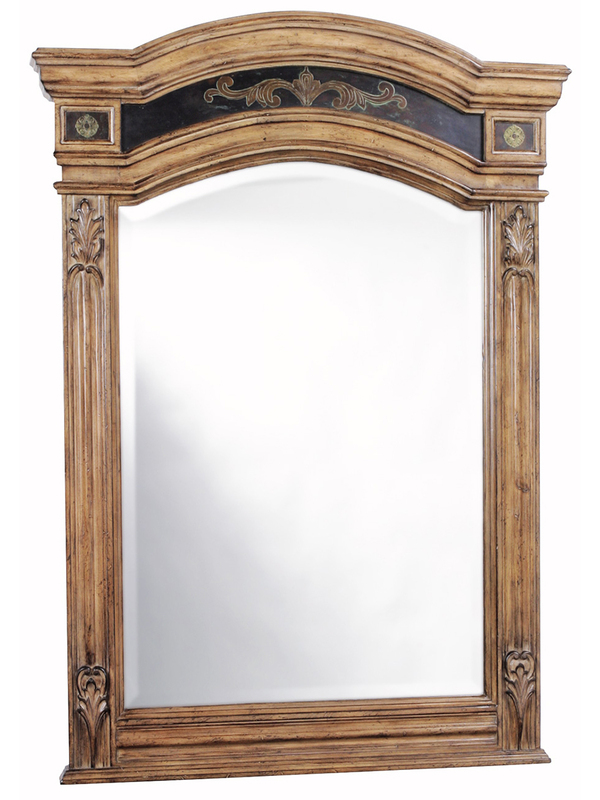 The cabinet is constructed from mahogany solids. Eight drawers and a double door cabinet provide plenty of room to stay neat and organized. The stunning color scheme is achieved by an acid washed finish with etched brass sheeting. The golden agate fossil stone countertop is the perfect complementary color for this piece. There is also plenty of counter space. Mirror and faucet options are available. Comes installed with a Balsa porcelain sink.